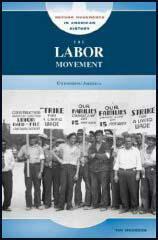 In 1935 several union leaders were dissatisfied with the policies of American Federation of Labour (AFL). Led by John L. Lewis, the leader of the United Mine Workers of America, seven unions formed the Committee for Industrial Organisation (CIO). Three years later they changed the name of the organisation to the Congress for Industrial Organisation. John L. Lewis became president of the CIO and over the next few years attempted to organize workers in the new mass production industries. This strategy was successful and by 1937 the CIO had more members than the American Federation of Labour. In 1955 the CIO merged with the American Federation of Labour. Walter Reuther, the president of the CIO became vice-president of the AFL-CIO. George Meany became president of this new organisation that now had a membership of 15,000,000. Walter Reuther found George Meany conservative and dictatorial and in 1968 led the out of the AFL-CIO federation. The following year he joined with the Teamsters Union to form Alliance for Labor Action.